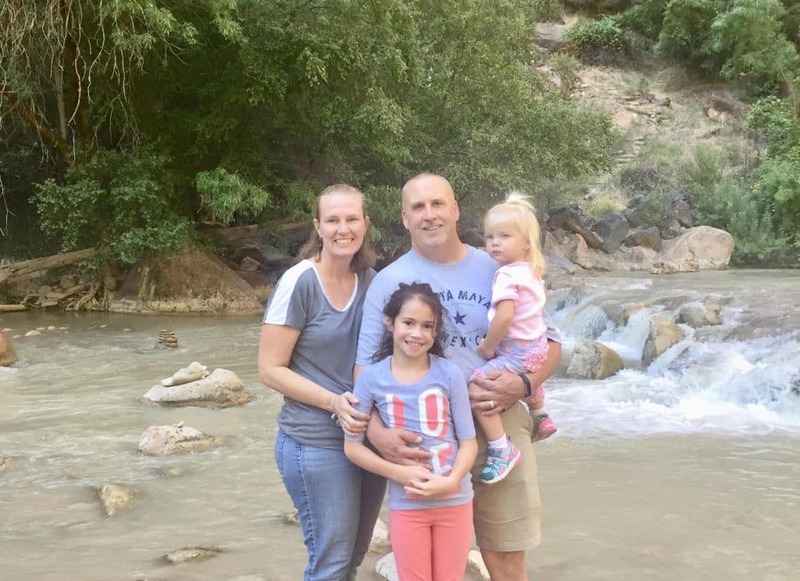 In this episode, Sam interviews Tom and Tammy Fromm, who have been traveling around the country in an RV for the past three years and roadschooling their two daughters, Savannah and Vanessa. 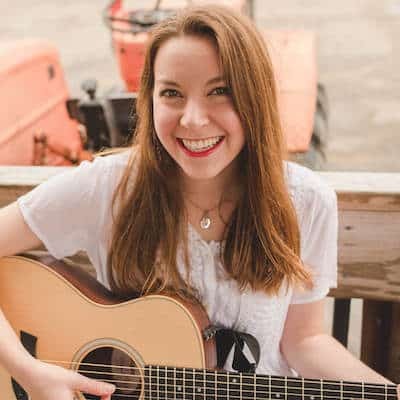 When the Fromm family started traveling more than they were home (and the public school system started complaining about their travel schedule and Savannah’s studies), they decided to make the shift to homeschooling and look into RV life. When their house didn’t sell as quickly as they hoped, they decided to buy an RV and jump in anyways. 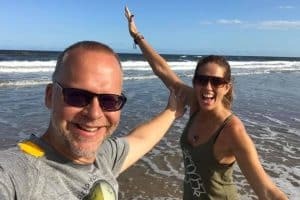 After RVing for a few months, they discovered an RV community, sold their house, and didn’t look back! 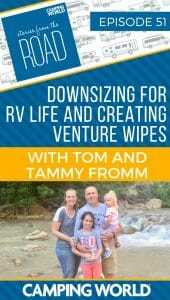 Along the way, they transitioned their careers to RV life, even co-founding the new outdoor/RV product Venture Wipes. 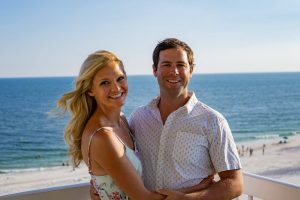 Living in an RV has brought the Fromm family closer together. People often ask them how they can live in such a small space. Their response is… “We don’t live in a small space. We live outside and sleep in a small space.” RV life has made the world their home and every day an adventure. 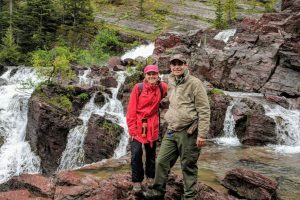 As soon as their house sold, Tom and Tammy had 30 days to downsize everything inside. They sold as much as they could as quickly as possible. One woman even purchased a truck full and Uhaul full of items in their house! Downsizing can be a stressful and emotional process, but Tammy says it felt good to let go of so many material possessions. It gave them more room to focus on their family dynamic and relationships. Even though the girls had to downsize a playroom full of toys, they have adapted extremely well to RV life. Now, they have their favorite toys and share with other kids who have their own favorite toys. They get to share with new friends without bringing more items into the RV. The girls have also learned to love being outside and playing in nature. Tammy transitioned from working real estate to being a travel agent on the road and homeschooling the girls. Tom was working remotely in IT development for years, but was part of a company lay off a year into RV traveling. 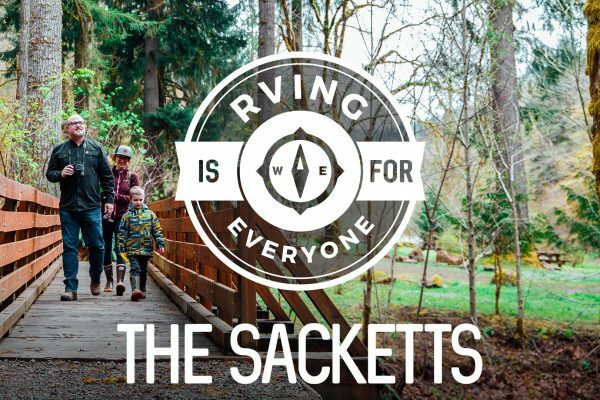 This gave him the opportunity to explore other career opportunities and went into business with another RVer, creating the product Venture Wipes. 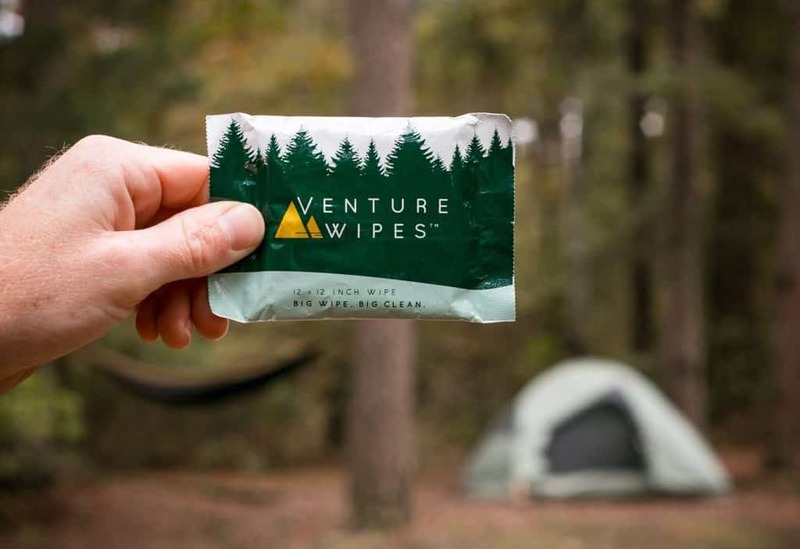 Venture Wipes are a portable shower in your pocket. Made of Water, Aloe, Vitamin E, Olive Oil, and Tea Tree Oil, these wipes are good for your body and good for the environment. It’s the perfect product for any RVer or outdoors enthusiast. The biggest challenge of creating Venture Wipes was finding the right manufacturer and bringing the vision to life. Being RVers and outdoorsmen, Tom and his co-founder Lou were the target market and knew the type of product that the market needed. After all that hard work, Venture Wipes are now officially available for sale!